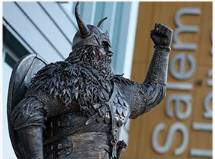 Salem State University will be a premier teaching university that engages students in an inspiring transformational educational experience. We put students first in all that we do and are committed to their success. We are a community of learners where all faculty, staff and students have the opportunity to grow as individuals. We are innovators, offering a unique brand of public higher education that inspires students to reach higher and achieve more. We remain true to our heritage as a liberal arts university while we prepare students for today’s workforce. We serve the communities of the North Shore while we create an ever more globally aware and culturally diverse campus environment. The 2018-21 Salem State University strategic plan is the result of a transparent and inclusive campus-wide planning process led by the institution’s collaboration committee. 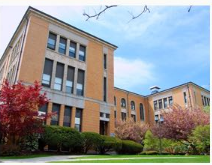 The university takes pride in its gains towards the Massachusetts Board of Higher Education (BHE) system goals of college participation, college completion and closing achievement gaps. Of equal importance in accomplishing these goals has been a commitment to authentic teamwork, an openness to sincere dialogue, and the discernment and engagement required to undertake systemic change. The 2018-21 strategic plan builds on these important gains, learns from both successes and challenges, is tempered by internal and external realities, and confidently presents bold yet feasible strategic priorities that align our institution’s strengths and the North Shore’s along with the Commonwealth’s educational, economic and workforce needs. Create a challenging and supportive learning environment that fully engages students in their learning and promotes attainment of academic, personal and career goals. Develop and support high-quality academic programs and innovative educational experiences that equip Salem State graduates to thrive in an evolving workforce and to navigate confidently in an increasingly complex and global society. 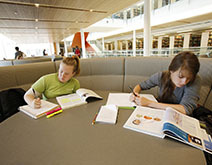 Foster a university-wide culture of inclusion, accountability, collaboration, and stewardship. Strengthen Salem State’s financial foundation, align resources with priorities and foster innovation to drive new revenue streams. Identify and implement additional opportunities to contain, reduce or avoid future growth in costs. 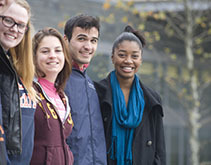 Academic excellence: Salem State cultivates an intellectually vibrant community led by a faculty dedicated to excellent teaching and enriched by students eager to learn and meet high standards of excellence. Student success: The university puts students first in all that we do and are committed to fostering success in their studies, careers and life. Vision-supporting overarching goals and key strategies: financial vitality and sustainability, and collaboration, inclusion and stewardship are foundational to achieving academic excellence and student success. The university’s collaboration committee designed and led our community through the strategic planning process. The text contained on this page is provided as an overview of the 2018-21 Salem State University strategic plan. The full plan, as approved by the Board of Higher Education in November 2017, is available here.